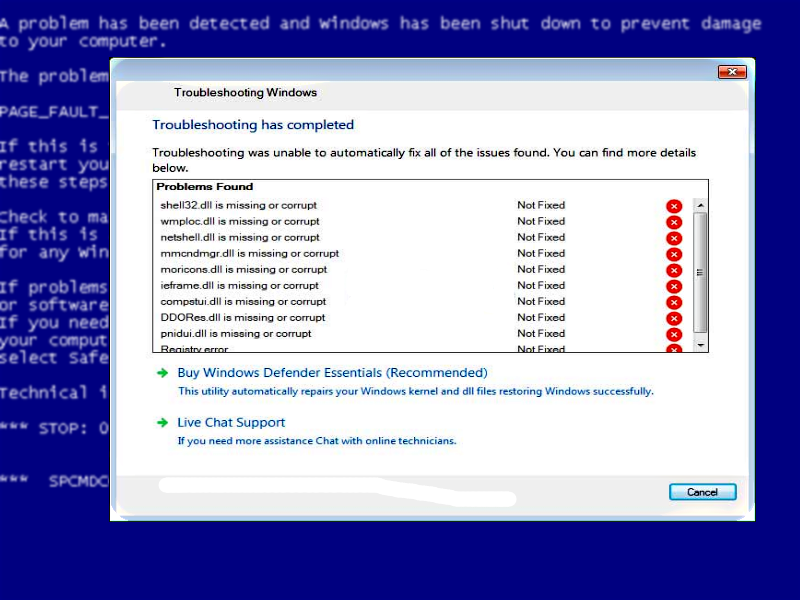 Home Archive by category "Support Scam"
Microsoft Security Essentials support scam is an infection that sets up for official Microsoft antimalware protection product, however in reality it causes the system reboot, after which it displays a lock screen. It looks like a Blue Screen of Death error notification, which makes users believe that the system encountered a serious error. Much alike You have a ZEUS virus, this alert is a fake that opens of a malicious website. You have a ALUREON virus pop-up claims that the computer has a high-risk infection called ALUREON which caused corruption of your data. So, the alert admonish not to close the message, as this will lead to data loss and the OS malfunctioning. This deceptive pop-up error informs that the computer is infected with ZEUS virus and that closing the browser will cause wiping the data from the hard drive. It also states that to remove the threat you can phone the presented toll-free number and get the certified technical help. Don’t fall for this scareware and avoid calling this number. 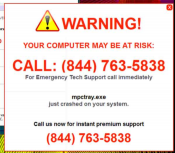 Usually users who encounter the Your Computer May Be At Risk message get puzzled and frightened because these pop-ups look genuine, as if victim’s devices are really infected with a dangerous virus. However you should understand that system alerts don’t simply emerge in a browser window. So, if messages like that appear on a web page, it is likely an indication that your system is infected with a malware. 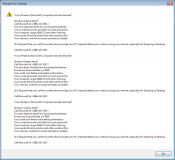 Microsoft Windows Is Not Genuine is a screen locker that imitates an error notification that states that your version of Windows is not original. So, to be able to use the computer again a victim needs to input a Windows license key. Be cautious, as this message is nothing but a fake, because none of the keys will work. A pop-ups window stating ‘Your Computer has been Blocked’ an be a shock for users who haven’t recently faced this type of scam. The alert blocks the screen stating that your system is under attack of a virus or a malware, which steals personal data including social network logins, bank account information, and has access to your email. The pop-up emphasizes the gravity of the situation and urges the user to take measures forthwith.